Update your new season wardrobe with this stylish top. 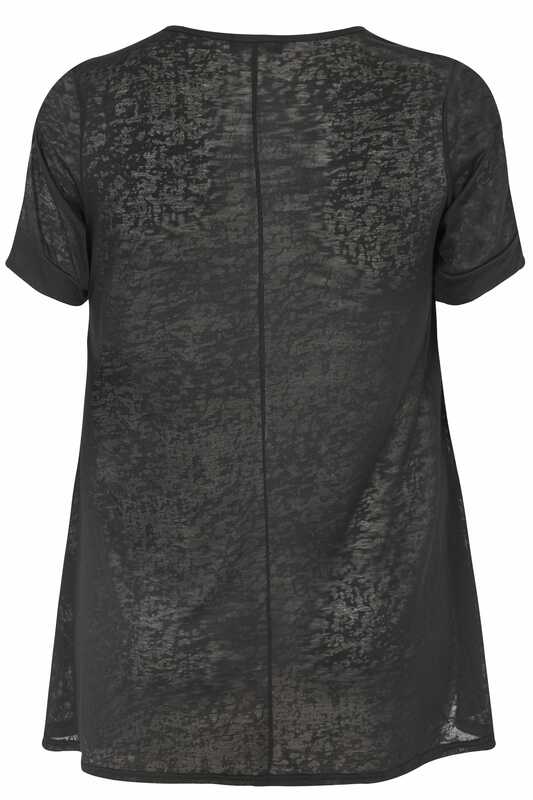 With a burnout fabric finish, it features a v-neckline and short sleeves with lattice lace detailing. For an easy to wear look, team with denim and a pair of your favourite flats. 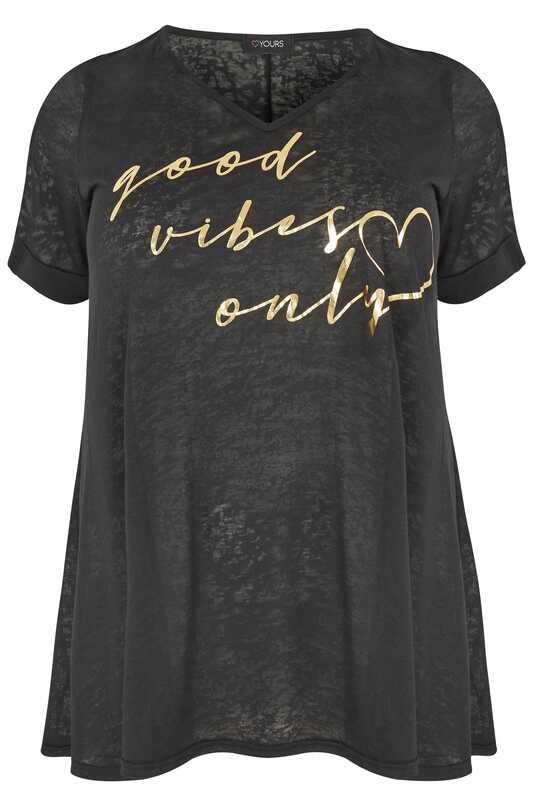 Perfect for everyday wear, we love the slogan print with a gold foil finish.